Do you get aches in your feet, knees, hips or back at the end of a long day? You may be watching the clock at work, willing the time to go faster, so you can finally put your feet up and get some relief. This pain can start to feel normal, the unfortunate product of a tough workday. The truth is, it doesn’t have to be. Foot health is important for overall health, since your feet are the foundation your body stands on. Many injuries and conditions that seem unrelated—like back or hip pain—actually start with an issue in the foot. The good news is that pain in your foot, knee, hip or back can be treated and prevented by a Canadian Certified Pedorthist. It all starts with more information and an in depth biomechanical assessment. Canadian Certified Pedorthists, or C. Ped (C), are healthcare professionals that treat conditions of the feet and lower limbs with footwear and supportive devices. They are educated and trained in the assessment of lower limb anatomy, and muscle and joint function, as well as corrective footwear. Your doctor, nurse practitioner, chiropractor or physiotherapist may refer you to a pedorthist following an initial consultation. A pedorthist will use their assessment of your lower limb anatomy and function to design, fit and modify your custom-made orthotics or orthopaedic footwear. Corrective footwear is combined with other education and services, as part of an overall pedorthic treatment plan designed specifically for your needs. 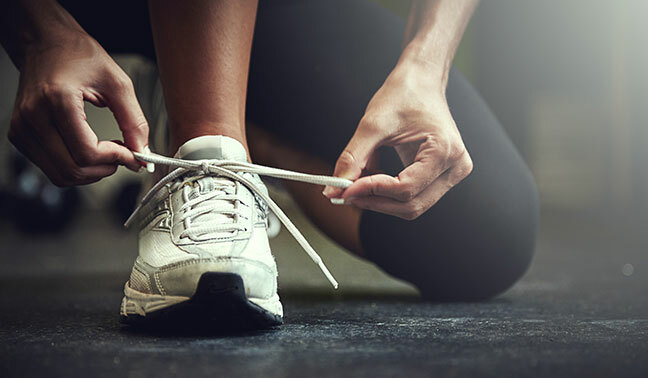 Pedorthists can help you get and keep proper foot health, so you can stop sitting on the sidelines and start living the kind of active lifestyle you want. Having a pedorthist on your healthcare team can have a wide range of benefits for your overall health and happiness. By providing devices for foot and lower limb conditions, pedorthists can help alleviate pain, improve balance, increase circulation and regain your range of motion. You get these benefits through education and custom devices or corrective footwear that accommodate foot deformities, realign feet and lower limb anatomy, and redistribute weight properly across the foot. Many people hear the terms pedorthist and podiatrist and are confused about who does what. Both podiatrists and pedorthists are highly trained healthcare professionals with education and experience treating feet. However, their education and the tasks they perform are different. Podiatrists have an undergraduate degree, such as a Bachelor of Arts (BA) or Bachelor of Science (BSc), as well as a Doctor of Podiatry Medicine degree (DPM). And what does a podiatrist do? They diagnose and treat foot problems, often prescribing custom orthotics as a part of treatment. On the other hand, Certified Pedorthists have university degrees in the field of health sciences (i.e. 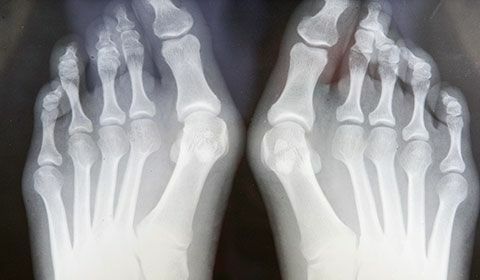 kinesiology), as well as post-graduate training and clinic experience (often an apprenticeship) in biomechanics, anatomy, pathomechanics of the lower limb, foot orthotic fabrication and modification, footwear fitting and modification, and pedorthic practice management, which can take one to three years to complete. Once this training is complete, they take an exam to get certified. While your podiatrist may prescribe orthotics, your pedorthist will make and fit the orthotic. Orthotics are supportive devices placed inside your shoe to correct biomechanical imbalances and function. They can be made of cork, leather, graphite, plastic, foam or rubber. Orthopaedic shoes are custom corrective footwear that accommodate foot deformities (i.e. bunions), injuries, open sores or neurological conditions affecting your feet. For additional support, orthotics can be place in orthopaedic shoes. For your first appointment with a pedorthist, it’s a good idea to wear loose clothing or shorts, to make it easier to examine your feet and lower limbs. You should also wear or bring the footwear you use most often (at work and home). If you have a prescription from your doctor for orthotics, bring that along as well. Your appointment will start with a thorough examination. Your pedorthist will ask about the location and type of pain (dull, shooting, etc. ), in addition to questions about your past and current health, so they get the full story. Once the what and why of your pain story has been explored, your pedorthist will conduct a series of tests that examine the range of motion in your feet and ankles, the strength in your surrounding muscles, and the alignment of your knees and lower back. They’ll also look at what type of foot you have—normal, flat or high arched—and if there are any boney prominences, edema or discolouration. 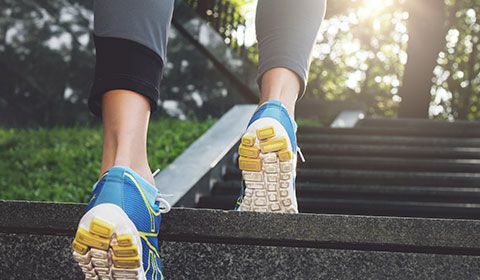 Finally, they will perform a gait analysis, asking you to walk or run while they observe the alignment, movement patterns and symmetry of your lower limbs. They may also use tools such as a computerized gait analysis, video analysis and biomechanical foot assessment. Your pedorthist will then use this analysis to create a customized treatment plan, which may include a combination of their services, including fitting you for orthopaedic footwear or custom orthotics. 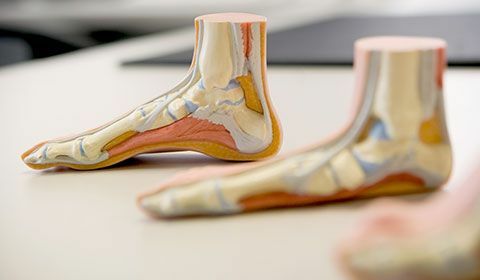 If they determine you could benefit from orthotics, they will use plaster, foam, wax or a 3D-laser scanner to get a full impression of your feet, which will be used to make the orthotics. After both feet have been casted, they will book you a second appointment to pick up your orthotics and make any modifications you may need.